Get kids to kick their gadget addiction and dive into the pool this summer. A new Mason-Dixon survey, conducted for the Water Quality and Health Council, found that parents are alarmed at the amount of time children spend on electronic devices at the expense of physical activities like swimming. But experts say parents can help their children strike a balance. The survey found that 94 percent of parents are worried their children are choosing electronic devices over more active pursuits, like swimming. And 93 percent are concerned about the health implications of spending too much time on electronic devices instead of swimming. There is hope: The survey also found that 84 percent of parents would like to see their children swim more often and 88 percent reported having access to a swimming pool. Most parents said their children can swim, including 78 percent of 7 and 8 year olds, and 89 percent of 9, 10 and 11 year olds. Morris discussed the issue as part of a panel with Chris Wiant, Ph.D., chair of the Water Quality and Health Council, and offered tips to parents to help get their children more active this summer. That audio discussion is available at www.healthypools.org/media. While preaching to kids doesn’t necessarily work, Morris and Wiant said parents can promote a balance by using the follow tips. Discuss with your children the health consequences of spending too much time on electronic devices at the expense of more physical pursuits, such as swimming. If children know that sedentary activities have real health impacts, even for children, they may be more motivated to get moving. Have a family meeting to decide together what the right mix of time is for your family on electronic devices versus swimming and other outdoor activities. Morris said the key is setting goals as a family, and making kids part of the decision-making process. Ask your children if they would swim more if you made a commitment to get them to a pool on a regular basis. 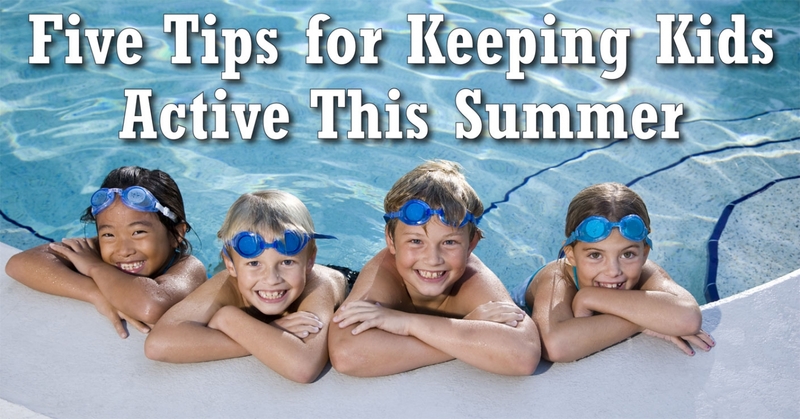 You may be surprised at how readily your children will unplug if given the chance to swim. Express your interest in spending face-to-face time with your children. Too much time on electronic devices can be socially isolating. Letting your children know that you are also willing to turn off the computer, smart phone and television to have fun with them is an important idea to share. Locate the municipal or community pool in your area, find out the hours of operation and build in time to get there with your children. Tips provided by the Water Quality and Health Council. About the author Dr. Ralph Morris and Chris Wiant, Ph.D.
Adventures in Fatherhood By John Pfeiffer Common pitfalls to avoid.